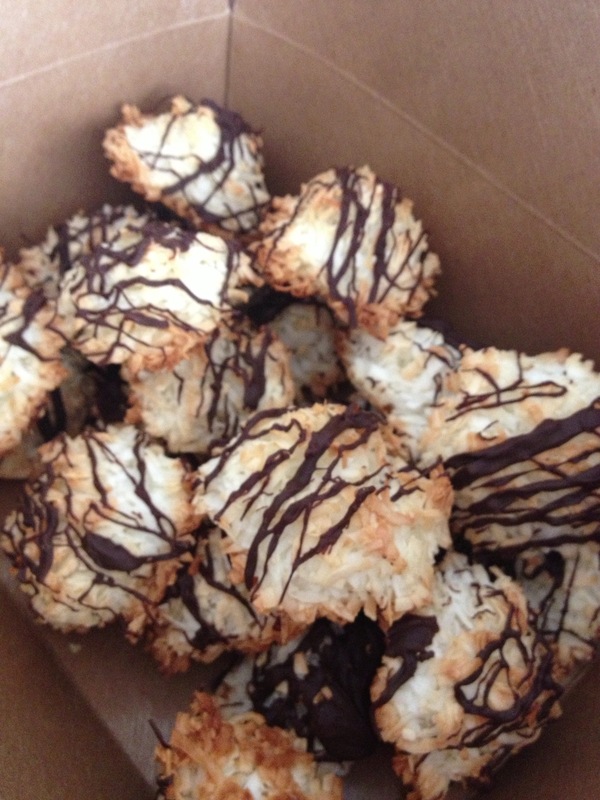 As promised here is the recipe for the Coconut Macaroons I made yesterday. The kraft takeout boxes were the perfect transportation for the macaroons to the BBQ party. Preheat oven to 350 degrees. Line baking sheet with parchment paper (or coat generously with nonstick cooking spray). In a large bowl, whisk together egg whites, sugar, and salt until frothy. With a fork, stir in coconut until moistened. Drop mixture by packed level tablespoons onto prepared sheet (cookies will not spread). Bake until lightly golden, 20 to 25 minutes. Melt chocolate chips in microwave (20 second intervals) and then drizzle over macaroons.